My Two Cents: I typically shy away from writing about books that I know will get a lot of “buzz.” Mostly because I am a late-to-the-party girl and by the time I set out to write a review, all sorts of accolades from folks way more influential than I have already been given. 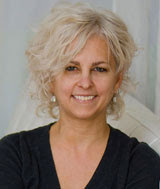 But, Kate DiCamillo is one of my very favorite, like top five - count on one hand, children’s writers and I don’t think I have ever written a word about any of her books! Her fabulous collection of meaningful and powerful works of art have their very own special shelf in my home, but nary a word on this little blog. That ends today with Louisiana's Way Home! I will still reserve my favorite Kate DiCamillo spot for the fantastical The Tale of Despereaux: Being the Story of a Mouse, a Princess, Some Soup and a Spool of Thread , but Louisiana's Way Home has all the makings of another Newbery-worthy addition to the Dicamillo canon. Just like most of her stories, it's filled with: Hope, Forgiveness, Trust, and Tenacity. Not surprisingly, since I read it as an eBook, I’ll be rushing out to my local bookstore in order to add the book to my DiCamillo shelf. 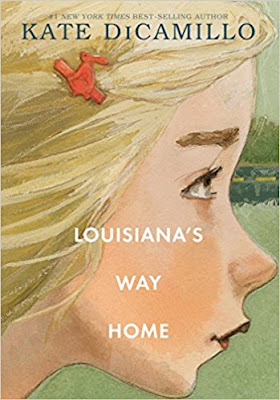 Louisiana's Way Home begins with a breathless runaway action scene, hooking readers right at the start. Where are they going? Why are they going? The chapters are short and the dialogue is succinct. I see the book as a very accessible title for all readers, even those who have not yet read the companion book, Raymie Nightingale. Like most of DiCamillo's stories, it's an emotional tale. This is why I love her writing: DiCamillo respects and acknowledges her young readers' emotional capacity like almost no other children's writer! It’s first person and that voice is so strong, so filled with desperation without being desperate. teaching first person and how it contributes to the theme, mood, tone would be a cakewalk. There are numerous references to Pinocchio, which would make for a great comparative literature lesson (you’d have to find an appropriate level version for lower grades though). It's a strong pick for reluctant readers as short chapters, common settings, interesting characters, and a quick pace all help to hold attention. I really think I would spend a lot of time on theme and the writer’s creation of it. And I would be so excited to have discussions on the likes of prose such as, “you decide who you are” and "take what is offered to you" and "Perhaps what matters, when all is said and done, is not who puts us down but who picks us up" with students! Discussing circumstance and privilege, thinking about self-destiny, tenacity, kindness, and courage.... a lit. teacher's dream book. On a personal note, because her writing is so very in-tune with childhood feelings, I always find some remembrance of my own childhood in a Dicamillo book. In Louisiana's Way Home it was the scene where the two young characters climb a tree to think real hard and figure stuff out. I climbed the maple tree in our front lawn the whole of my youth, trying to figure out my place and who I wanted to be. Reading that scene made me wish for, close my eyes and breathlessly remember, that feeling of being up in a tree - the possibility of anything being within my grasp. Not that anyone would doubt it, just on her reputation alone: This reading and education specialist highly recommends classroom (3-6) and library (elementary and middle) purchase. Character Development: Louisiana is so present, fully-formed with all her fear, truth and hope in world that could have so very, very fallen into hopelessness. Her new friend, Burke, and his shoulder-perched crow, Clarence, help to create that hope. Great balance of both good adults and bad adults. Plot Engagement: Breathless start, excellent pacing. New twists and introduction of new characters keep it fast-paced. Great for reluctant readers, with short chapters and relatable settings. You can read more about Kate DiCamillo on her website: HERE.